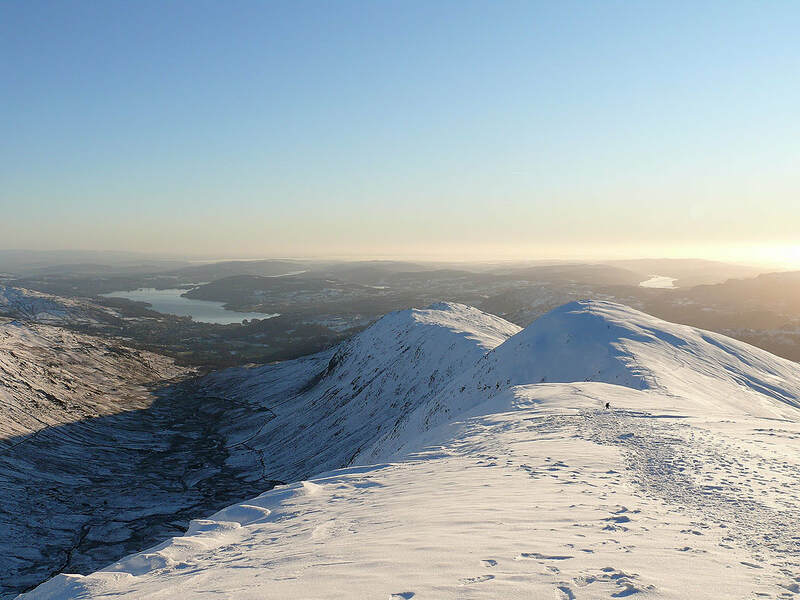 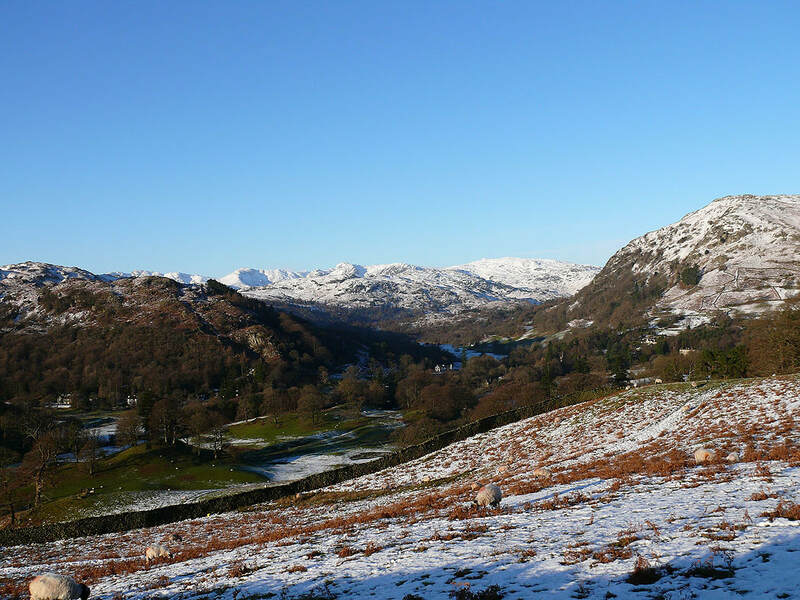 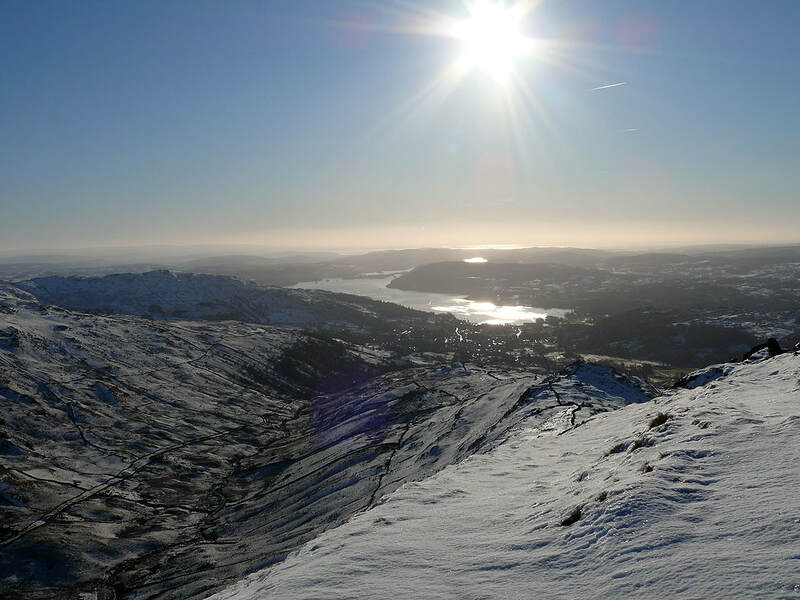 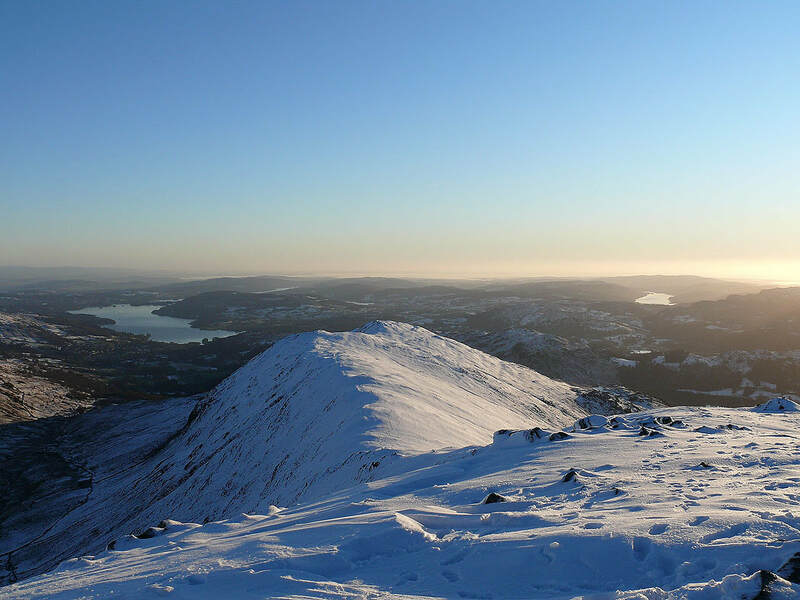 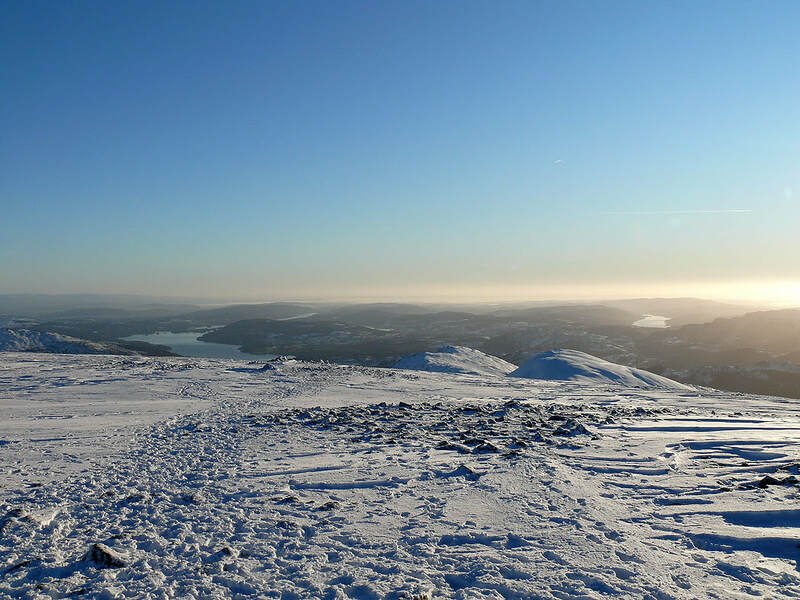 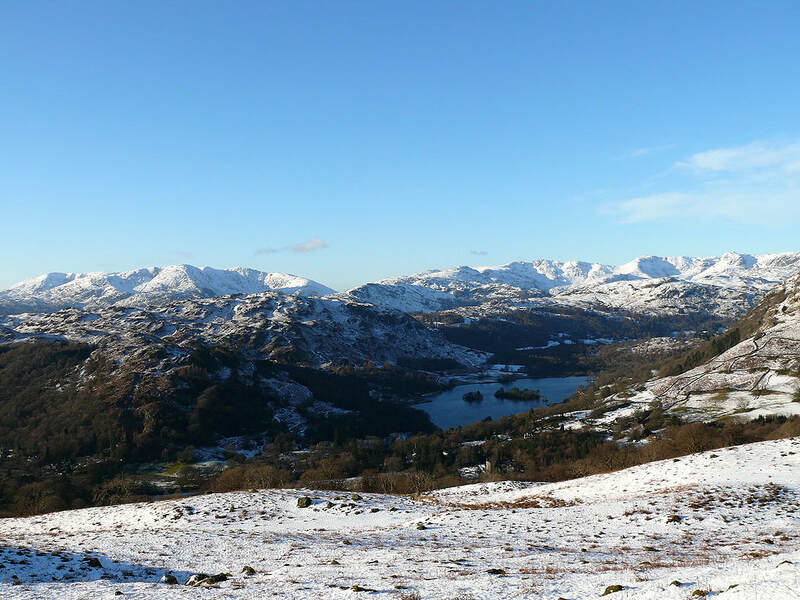 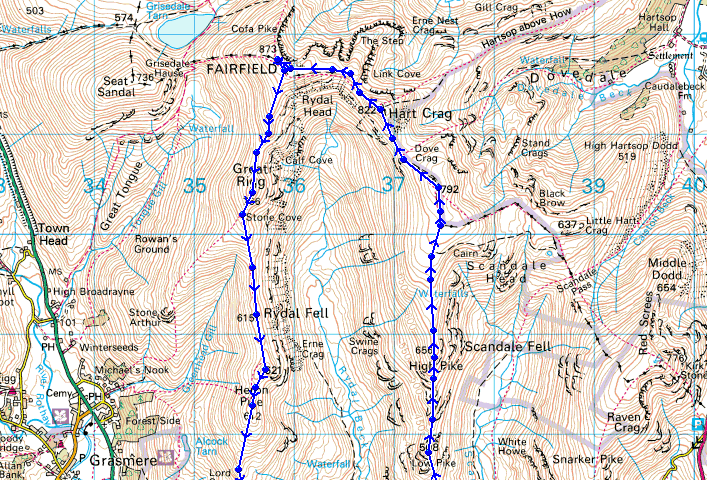 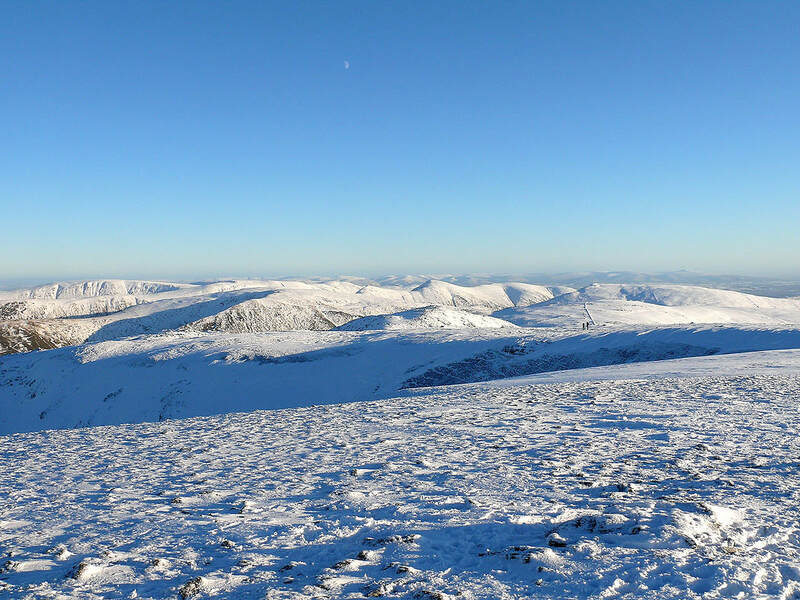 A walk around the Fairfield Horseshoe done in an anticlockwise direction. 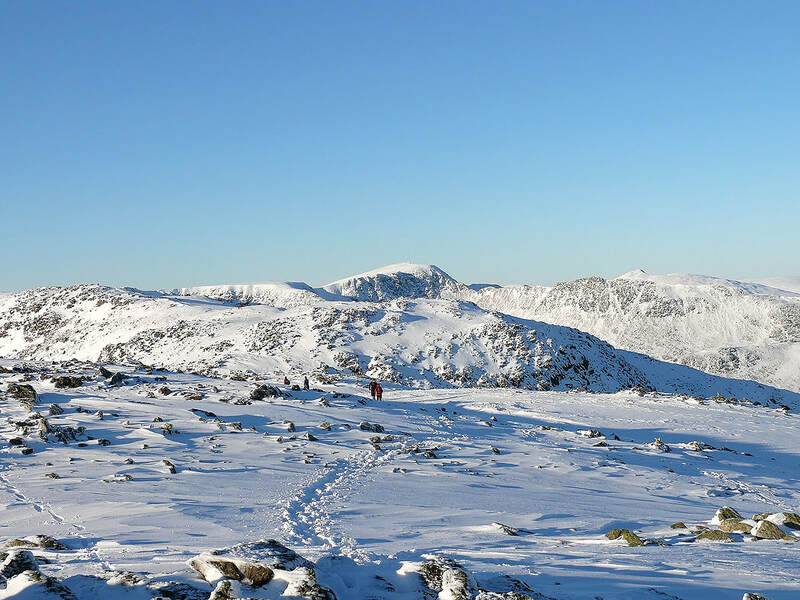 It was a bitterly cold day with deep snow which made the going difficult in places but fortunately I wasn't the first person up there and I was able to use other peoples footprints in the snow to help me along. 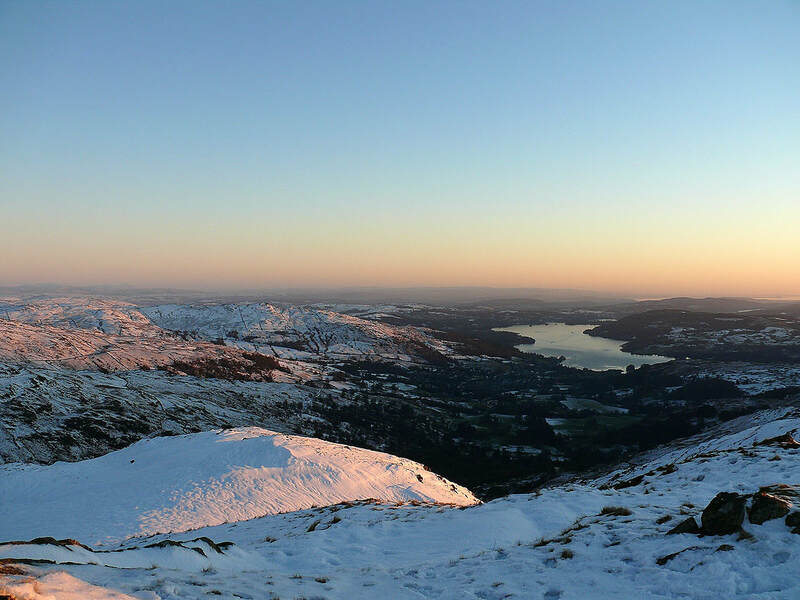 Because of this it took me about 90 minutes longer to do the walk than it would normally, so I ended up walking through Rydal Park and back to Ambleside in the dark with my headtorch to light the way. 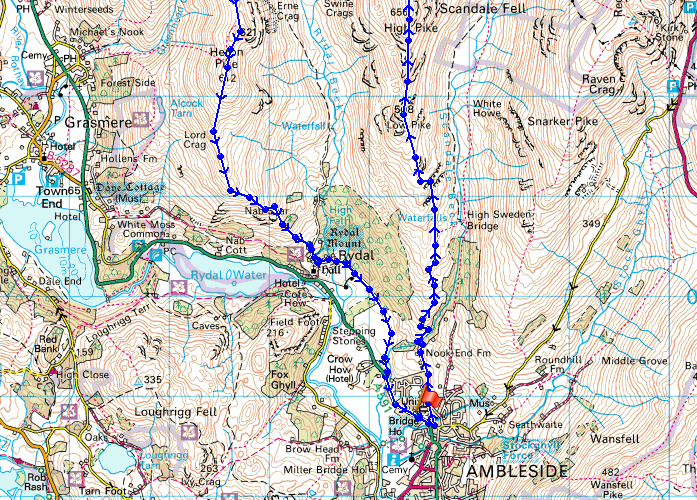 I was absolutely shattered afterwards. 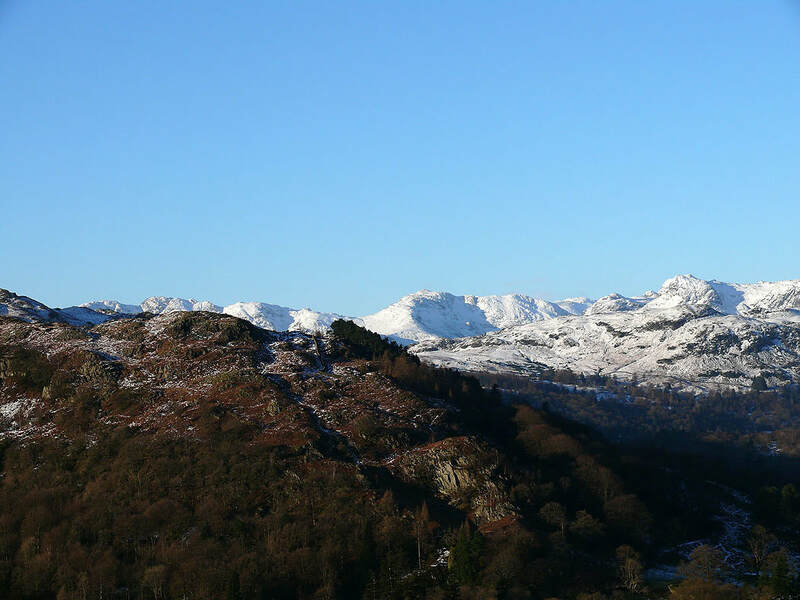 All in all it was a fabulous day and one I still have fond memories of. 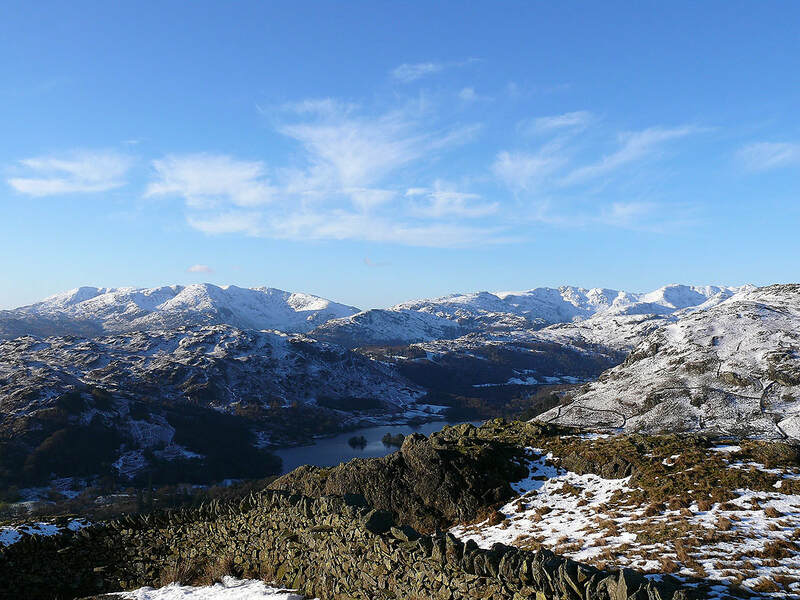 On Dove Crag. 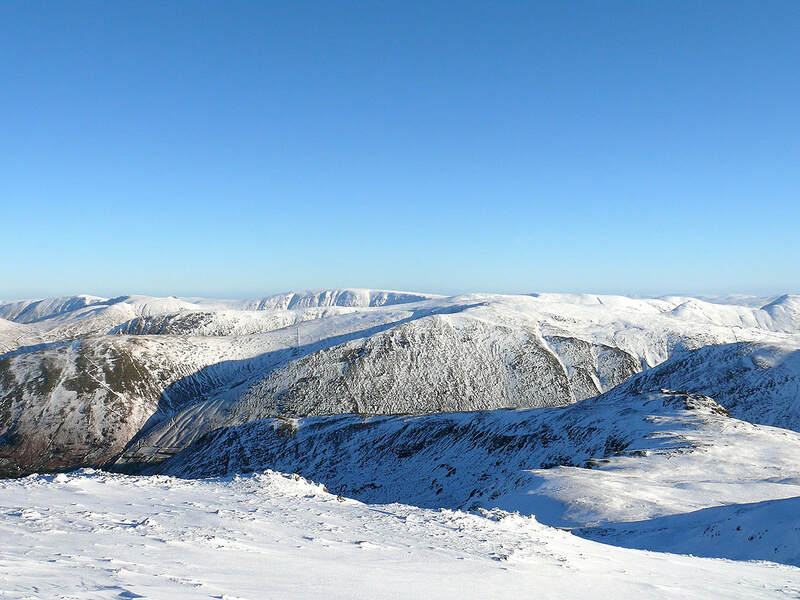 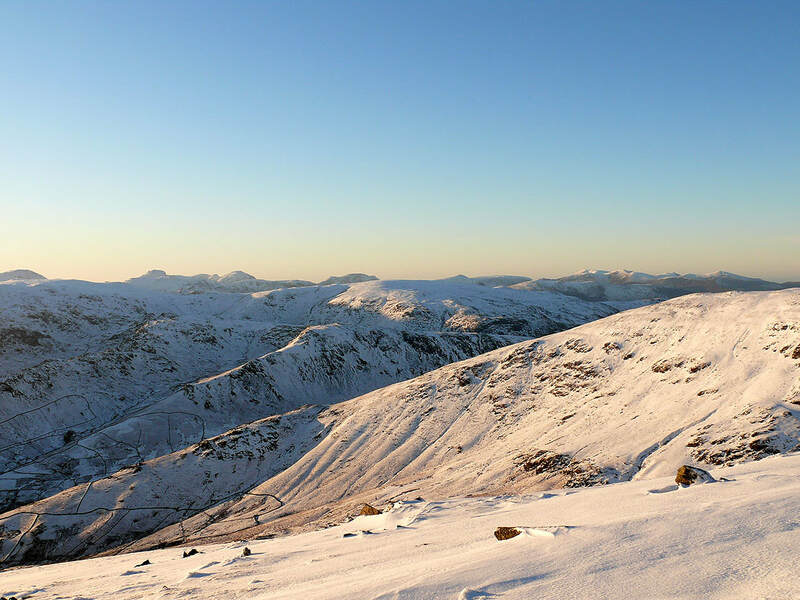 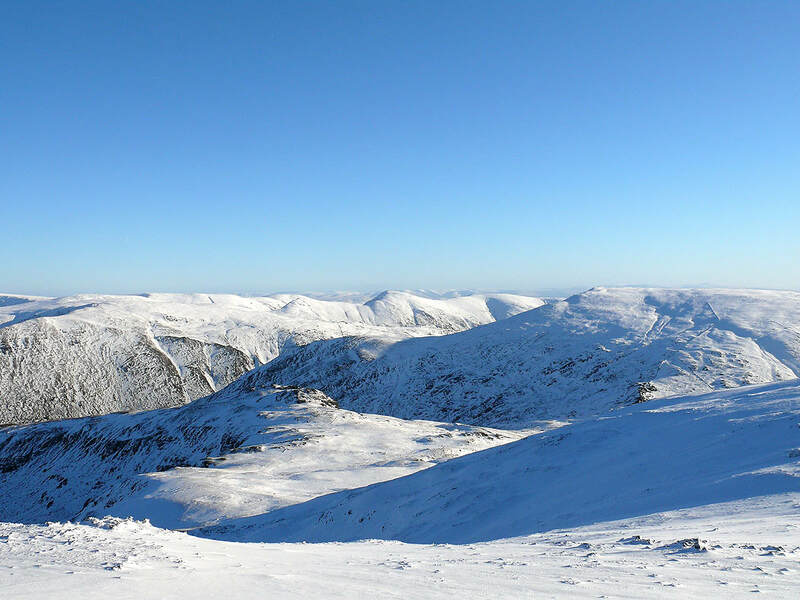 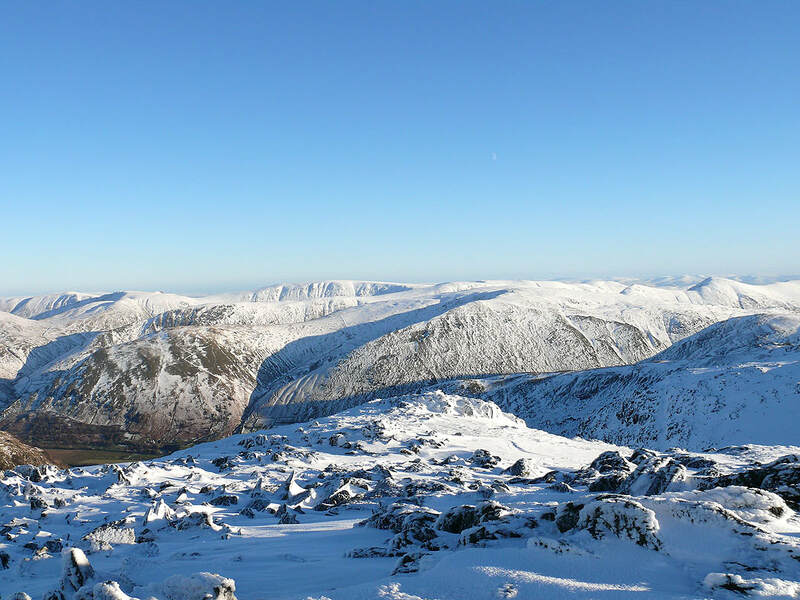 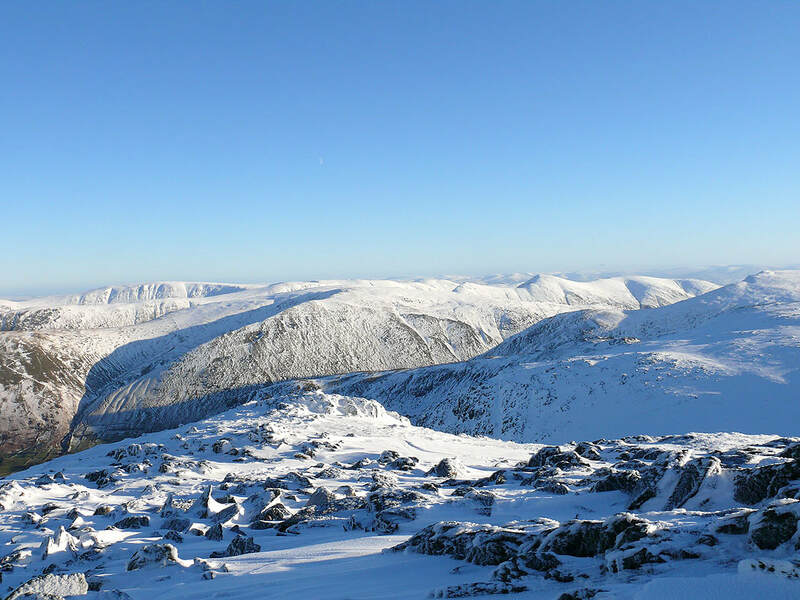 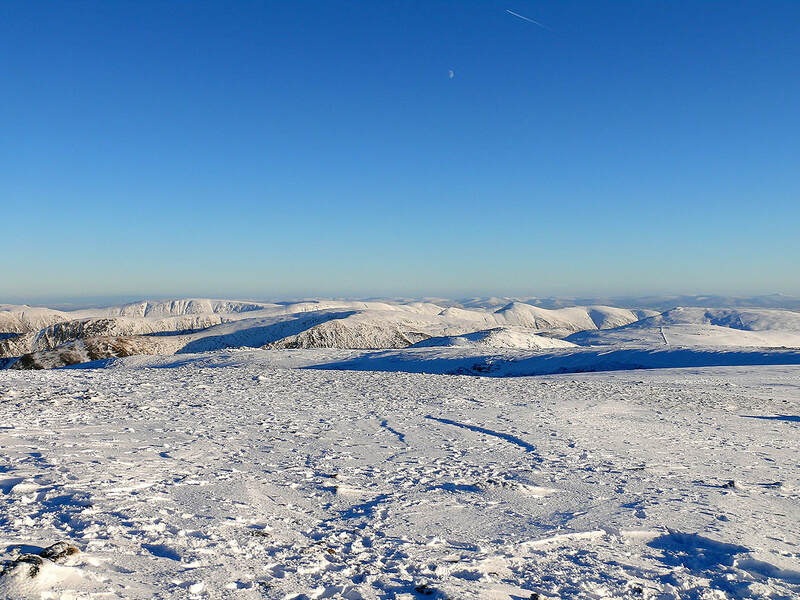 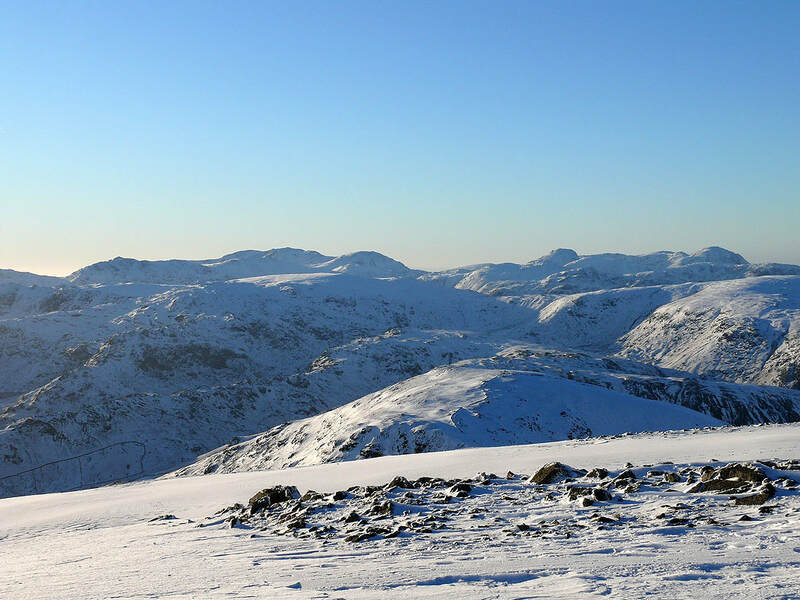 The view includes the Crinkle Crags, Bowfell, the Scafells, Great Gable and Pillar to name a few. 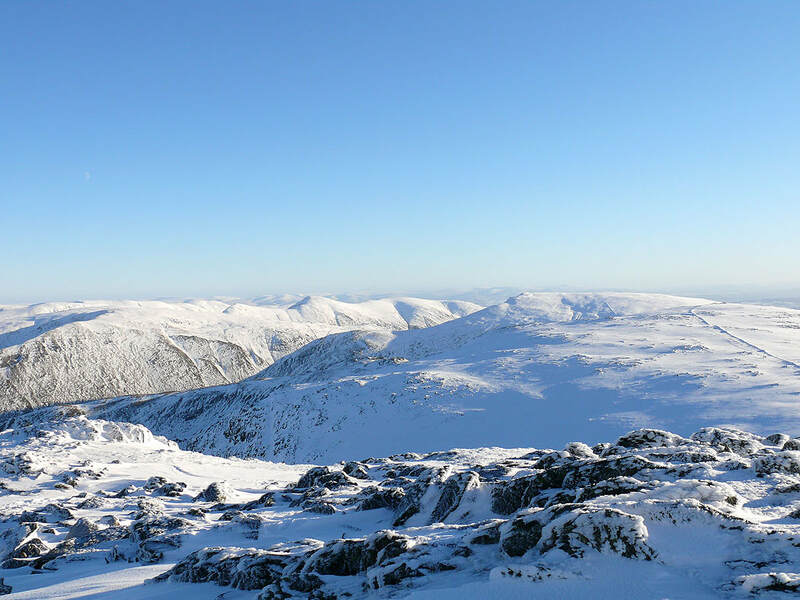 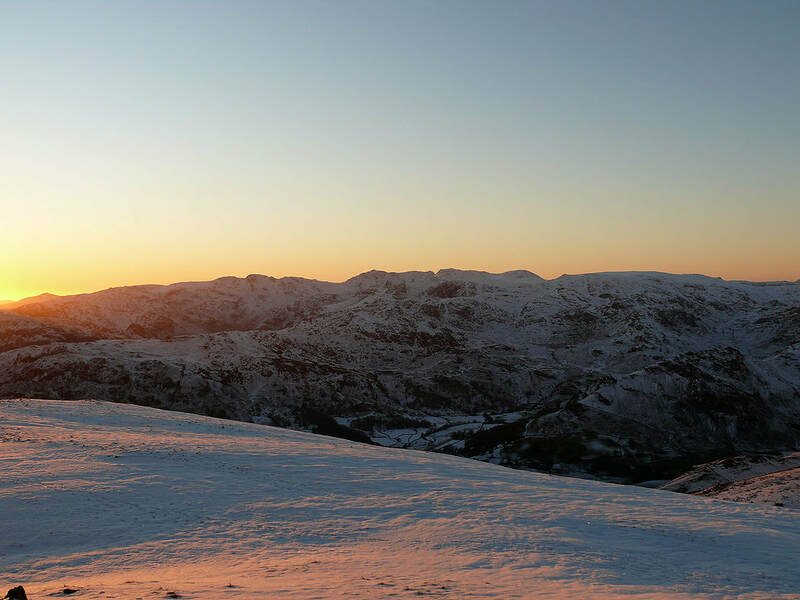 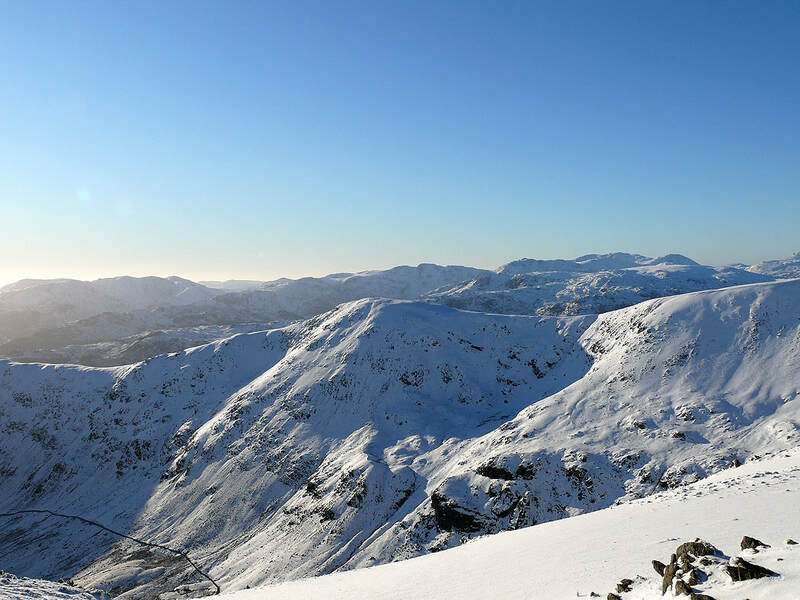 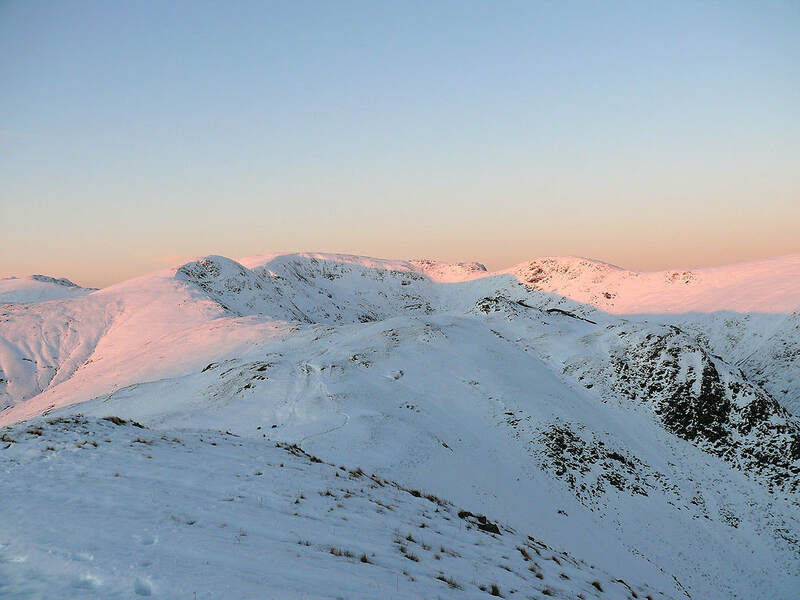 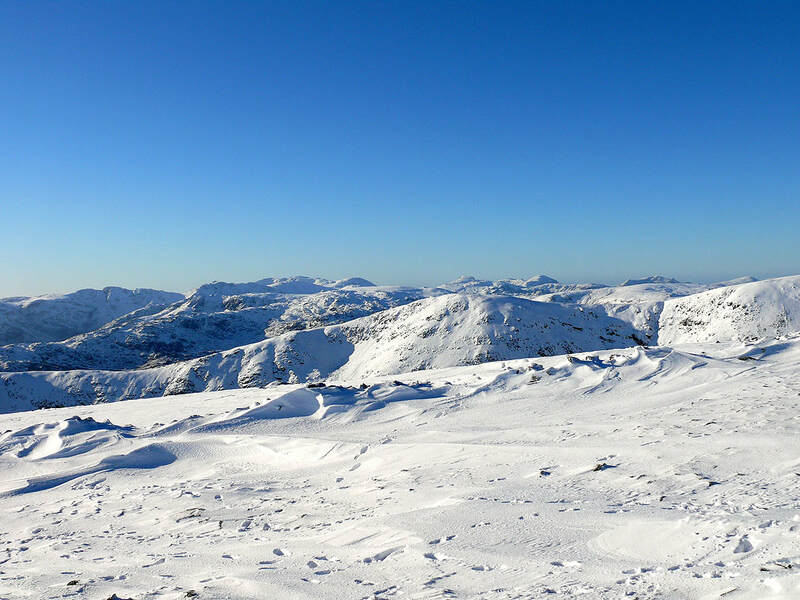 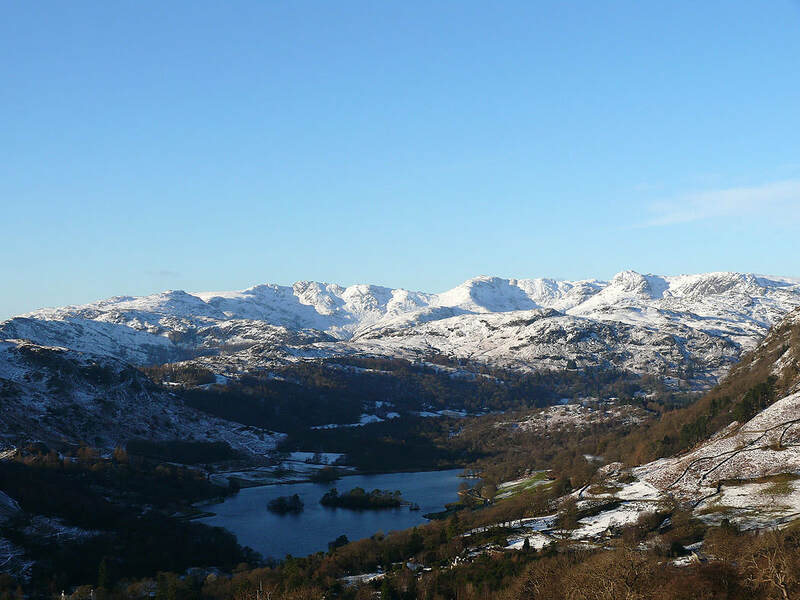 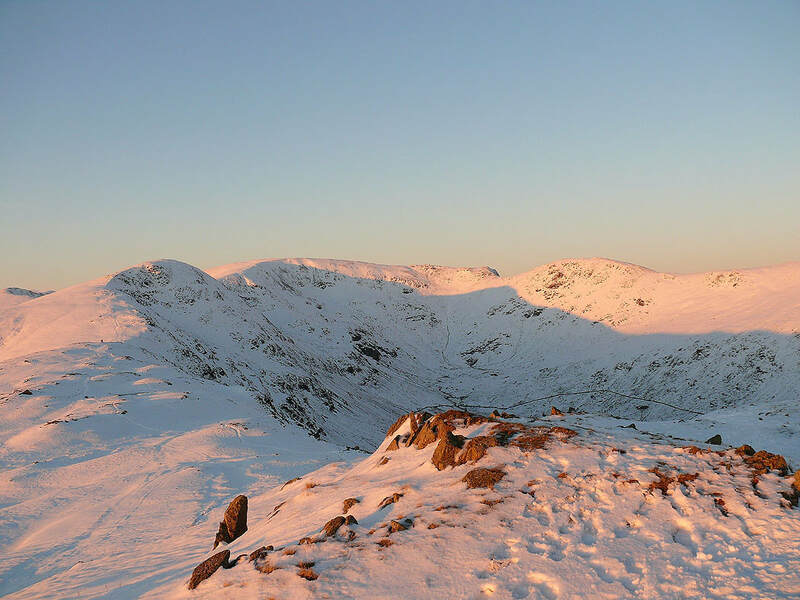 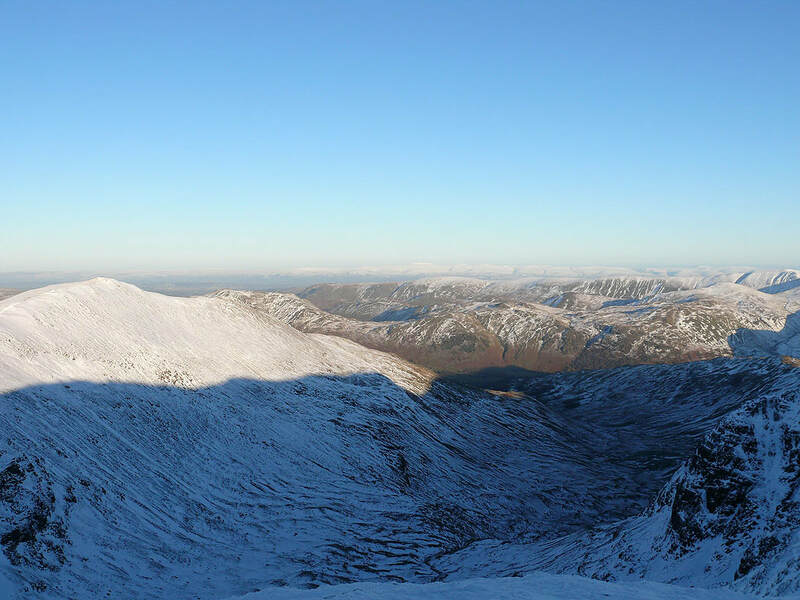 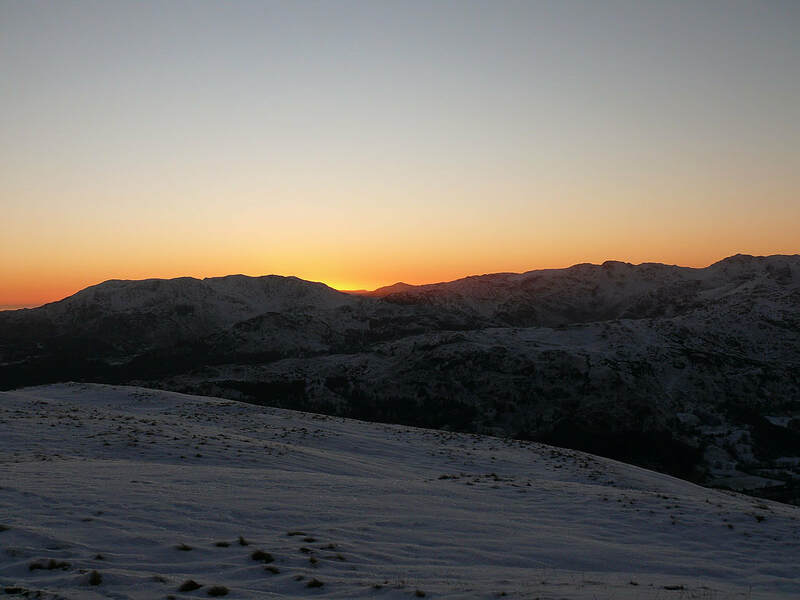 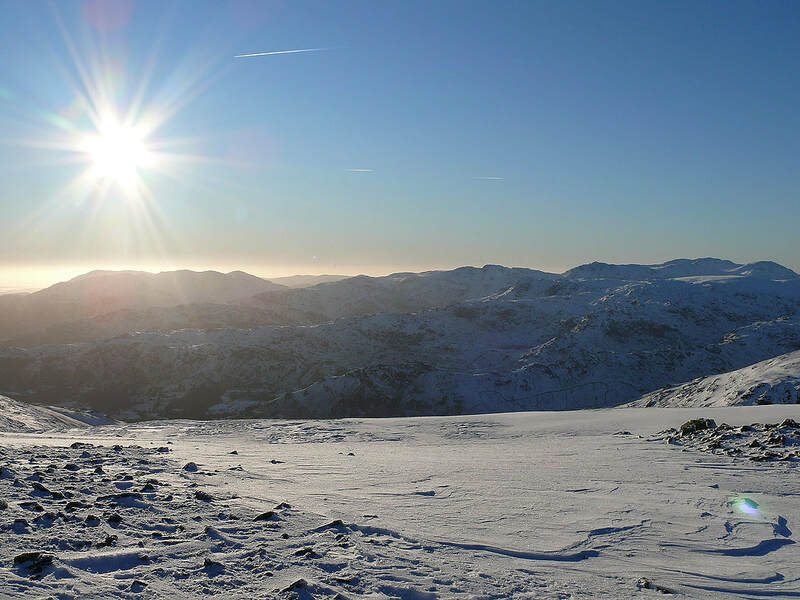 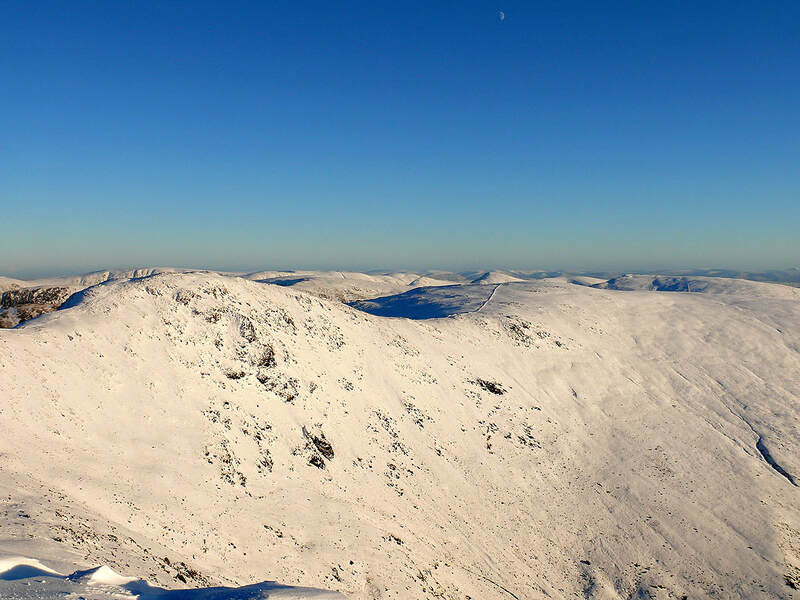 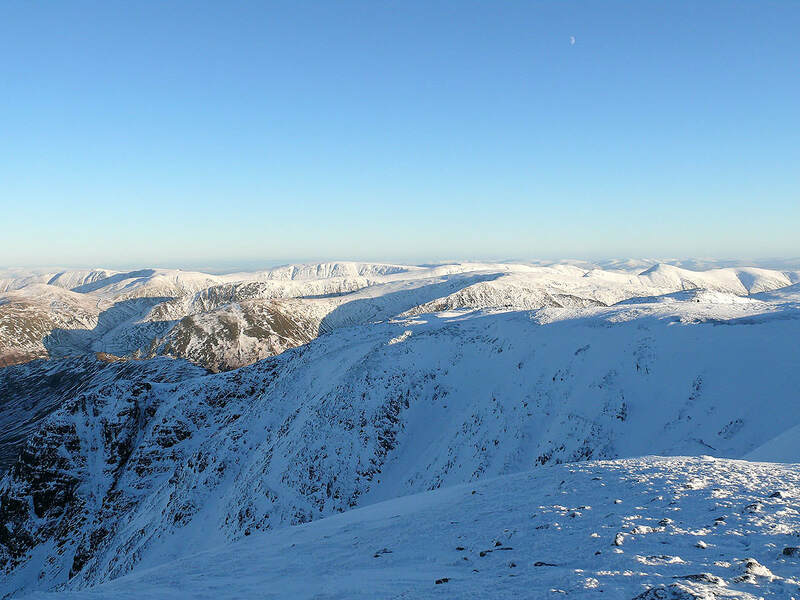 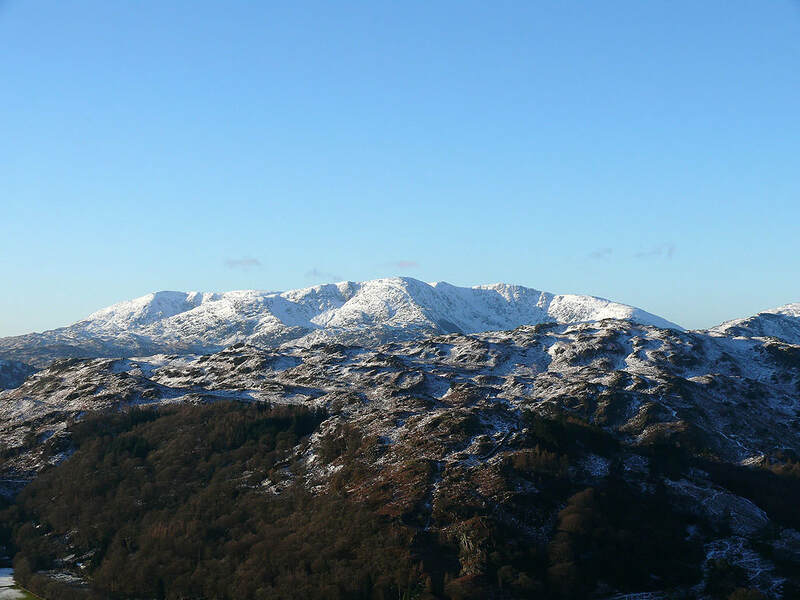 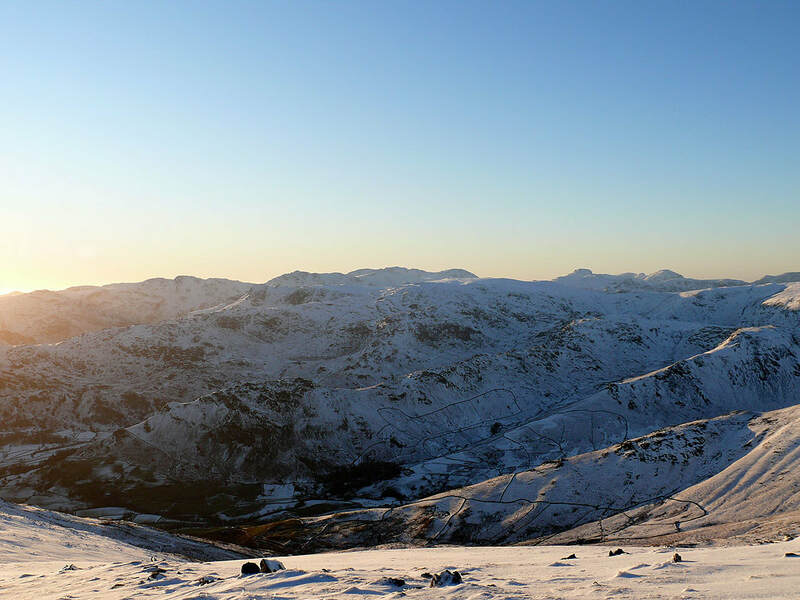 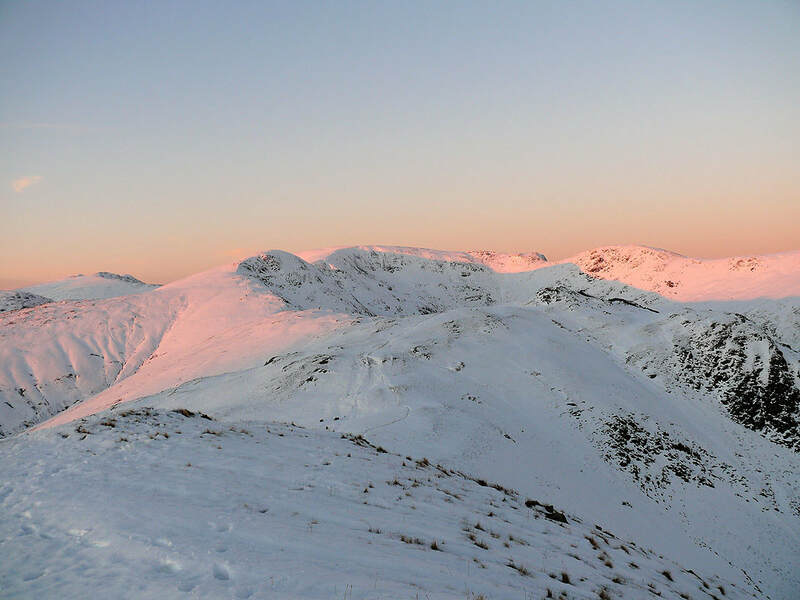 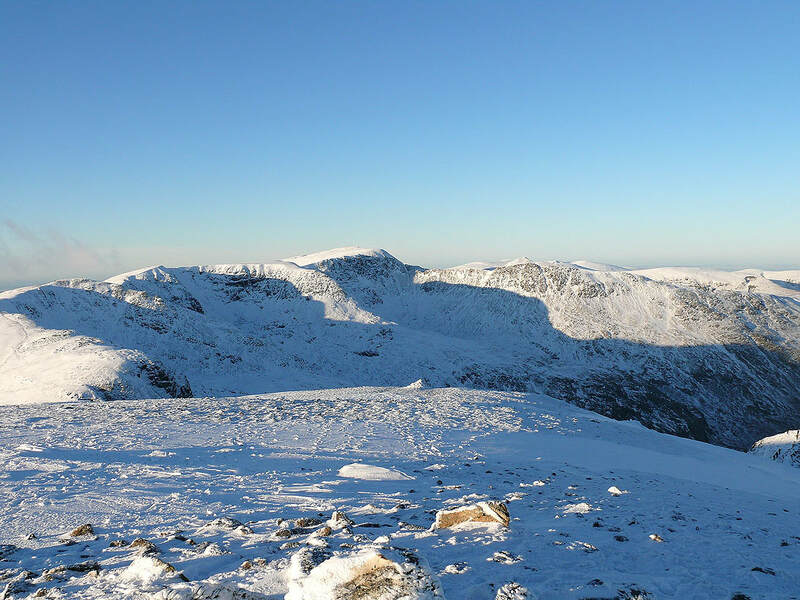 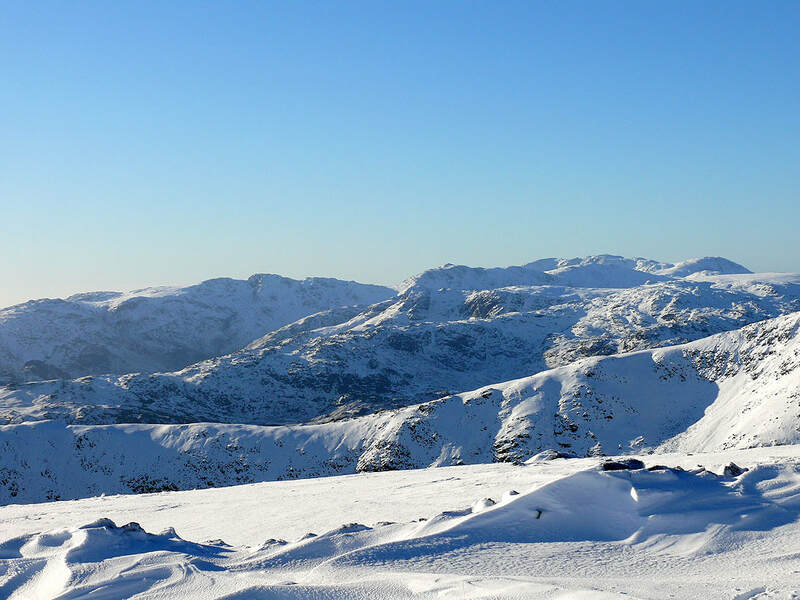 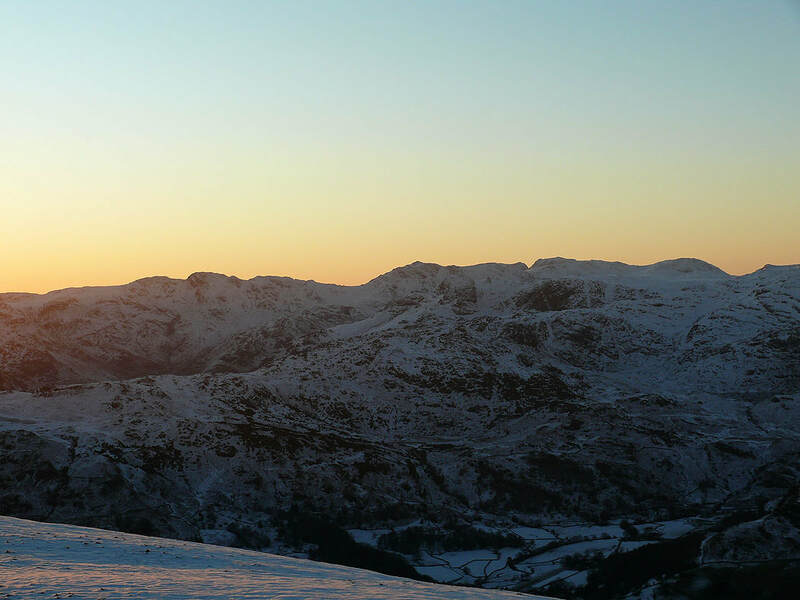 The Coniston fells, Crinkle Crags, Bowfell and the Scafells. 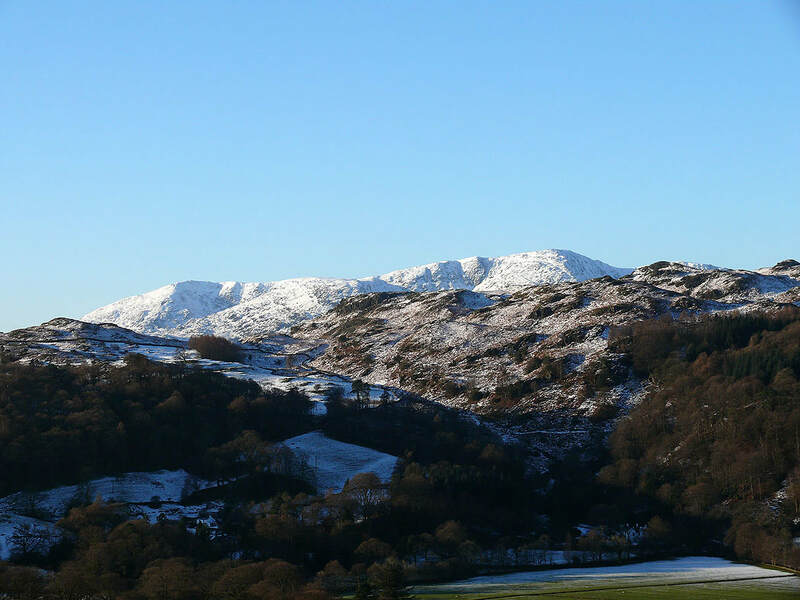 The fell in front is Great Rigg.